This article introduces you to keto test strips which are very useful for testing for ketones in your blood or urine. 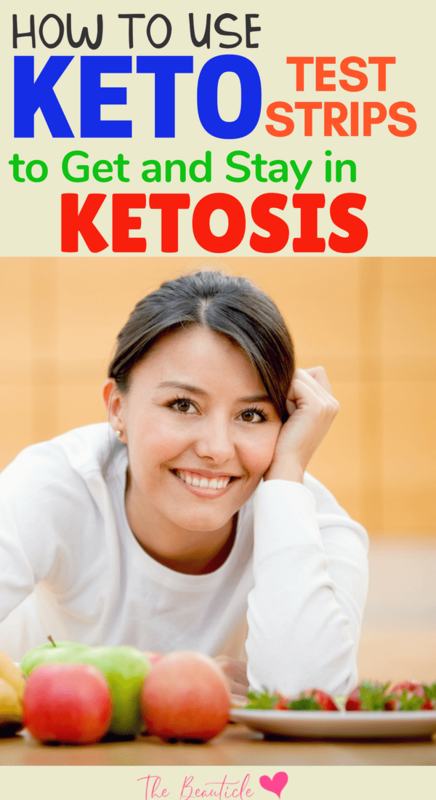 Knowing whether or not you’re getting into ketosis will help you to stay on track with the keto diet and lose weight in a more sustainable way. Its’ been said that the keto diet is the fun way to lose weight. Why is that? It’s because you’re eating lots of delicious, savory, high-fat foods while on this diet. On a successful keto diet, you’ve turned your body into a fat-burner instead of storing fat. Doesn’t that sound like a fun way to eat and live? How do you start the keto diet? What can you eat on the diet? What are some easy meal plans and recipes I can follow on the keto diet? Get the answers to your questions on our Keto Diet FAQ page here. Most keto dieters will agree that this new way of eating can be confusing. It’s not always easy to meal-plan. You may wonder if the effort you’re putting in actually has put your body into a state of ketosis, which is where you want to be if you’d like to start burning fat for fuel. The great news is that you can easily get yourself over the hurdle of trying to determine which foods help with getting into ketosis by purchasing a set of keto test strips. What are Keto Test Strips? Why go through the trouble of using keto test strips? Keto tests like these allow you to test your urine, blood or breath for the presence of ketone bodies. Ketone bodies include acetone, acetoacetate, and beta-hydroxybutyrate. These are produced by your liver during ketosis, which occurs when your body begins burning the fat you ingest to use for energy. You can purchase ketone test strips that test either your blood, your urine, or your breath for these liver-producing substances. If ketones show up via the test strip, you’ll know for sure that your body is in the desired state of ketone production or ketosis. Ketone test strips are helpful because they allow you to become familiar with what works and what doesn’t. 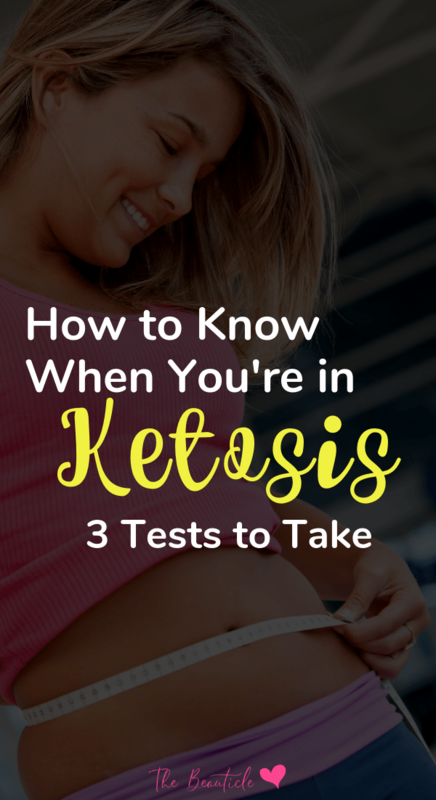 Once you figure out what foods it will typically take to send your body into a state of ketosis, you can opt to use the test strips only occasionally, just to be sure you’re staying on track with your eating habits. You can also use the test to determine how variables like the amount of a certain food eaten, as well as exercise, may affect your ability to remain in a state of ketosis. Of course, if you have a cheat meal or fall off the wagon, these keto test strips will help you to determine when you’re getting into ketosis after getting knocked out of ketosis. This is also a good time to introduce exogenous ketones to your diet depending on your cheat meals or your ketosis test results. Exogenous ketones like these will help get you back into ketosis quickly. There are several different types of ketone tests as mentioned earlier. Some are more reliable than others and some more affordable and convenient. Let’s take a look at the various types of ketone tests available that help with getting into ketosis. Why do ketones pass to your urine? This is because once your liver begins producing ketones, any excess ketone bodies will need to be evacuated from your body via the kidneys. So the test is a quick and easy way to tell if your body is producing ketones. One interesting thing to note about ketone urine testing is that the longer you’ve been on the ketogenic diet, the less likely your body is to spill ketones into your urine. This is because your body will eventually adapt and find new ways to process ketones in your blood. This keto test is a great way to quickly and easily find out whether you’re in a state of ketosis when you’re new to the keto diet. Get one here. A ketone blood monitor can be useful if you’ve been on the ketogenic diet for a while, and you are no longer spilling ketones into your urine. In this case, a blood test that you can self-administer at home will actually be more accurate than a urine test for ketones. This is because factors like the amount of water that you drink and sweating that occurs during exercise don’t affect the amount of ketones in your blood. A ketone blood monitor is used in the same way as a glucose tester. Most models measure what’s known as the Glucose–Ketone Index (GKI). This is a combination of blood glucose and blood ketone levels. It’s highly useful for diabetic people who would like to get a more complete measurement of their metabolic activity so they can stay within a safe range for both readouts. To use the ketone or ketone/glucose blood monitor, simply swab your finger with an alcohol pad to sterilize, then use the included needle to prick your finger and squeeze out a small drop of blood which you then place on the testing strip. Get one here. For keto dieters who are a little less serious about monitoring their ketone levels because maybe they’re not diabetic but still curious about getting into ketosis, there is the keto breath monitor which measures acetone in the breath. This device plugs into a USB port and can be used again and again. To use, simply blow into it until you get your acetone readout. The higher the ketone readout, the farther into ketone production your body is. This is the least accurate test of determining whether or not your body is in ketosis. You can get one here.